We are delighted to announce the winners of the March 2019 Inspiration Challenge! First up is this stunning card by Rajni! Her project features our Sweetest Peas Stamp Set and Gradient Stripes Cover Die. Cris G.‘s “thinking of you” card is so divine – we couldn’t stop staring at it! We are totally speechless! The way Karen colored in the images from our Hennah Elements Stamp Set is simply amazing! Her card’s background also features our Halftone Stencil. Last but not least is this gorgeous creation by Joy! She used the Garden Picks 3D Die Set, Cross Stitch Canvas Die, and Reason to Smile Stamp Set in her fabulous card. All four winners will each receive a $30 Gift Certificate to our store. 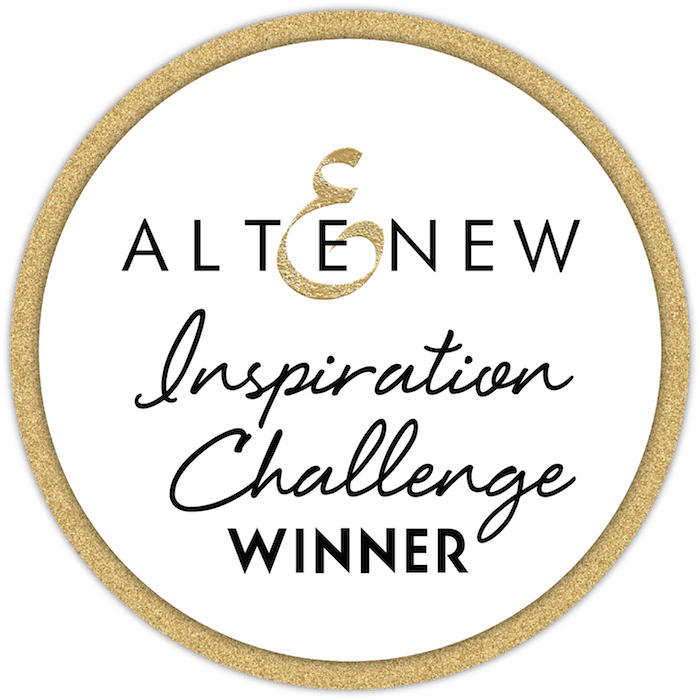 Please email us at winner@altenew.com with the subject line “March 2019 Inspiration Challenge Winner” and we will set you up with your prize. Thank you to all those who joined our March 2019 Inspiration Challenge! Our April 2019 Inspiration Challenge is in full swing! Feel free to check it out, get inspired, and join in the fun! Lovely card. Clean precise design. Watching these videos can be addicting! Congrats to winners! Thanks for choosing mine.